Today’s post is an unusual and special post. 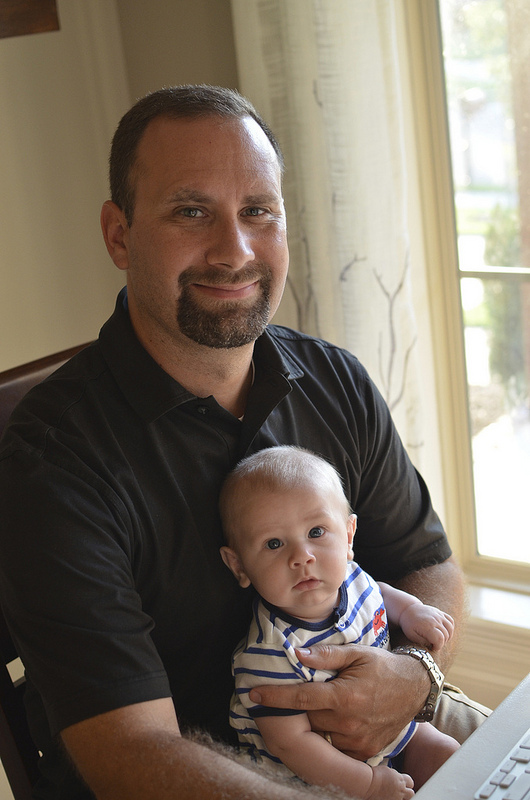 I wish I had more time to put into it, because it is honoring the most important person in my life – my husband, Ben. I made him Oatmeal Creme Pie Ice Cream Sandwiches. The recipe I’m featuring for Ben today is Oatmeal Cream Pie Ice Cream Sandwiches. I put two of his favorites together (Little Debbie Oatmeal Creme Pies and Ice Cream Sandwiches). 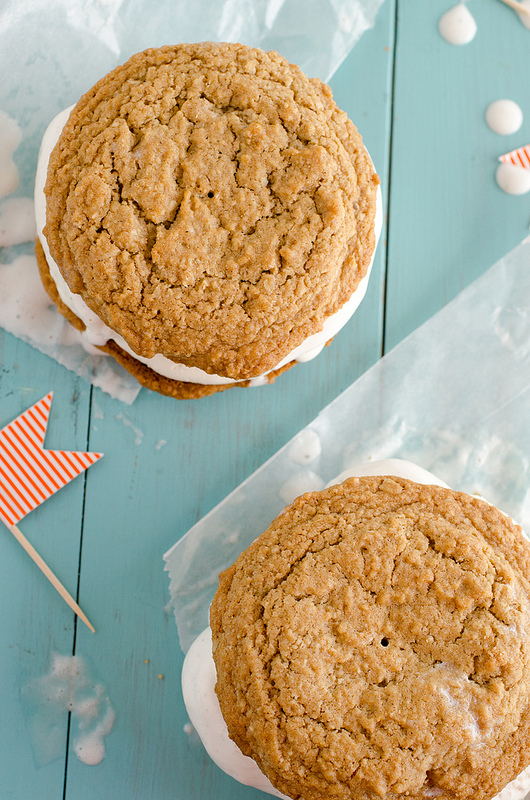 To make these, just follow this recipe for Oatmeal Creme Pies and sandwich your favorite ice cream in the middle. That’s it! And, that’s as far as I’m going to talk about the food, because I want this post mostly to be about Ben. Let’s talk about Ben, specifically. He is my biggest cheerleader in all aspects of my life, especially about my blog/career. Although he works full time and accepts extra projects on the side, he still graciously offers to watch our kids every Saturday morning so I can head off to the coffee shop for some uninterrupted, kid-free, chore-free, distraction-free, writing time. Not only is Ben my biggest cheerleader, but he is my best blogging assistant! He takes on tasks from building faux table-tops, to holding a up a reflector, to working as a hand-model (as displayed in photo above), to trouble-shooting my camera and computer.. 🙂 He is always my videographer and he even built me a desk for my home office! More on that in a later post. Ben is the best travel buddy, too. He came with me to the BlogHer Food conference this past spring in Austin, TX where we had fun together tasting our way through the city. While I was at the conference and parties, he was swimming at the hotel’s pool with Judah. He was so patient with my schedule. When we travel other places together, he is always encouraging me to take photos of the restaurants we enjoy so I can write about them and share them with you. 1) What is your favorite blog? – It is a woodworking blog called The Wood Whisperer. Marc Spagnuolo is hilarious and explains how to do things easily. 3) What is the weirdest thing you have seen me do for a blog post? – Take about 100 clips of video for a how-to video. 5) What do you do for a living and what are your hobbies? – Teach seminary students for a living. I like sports, watching football and woodworking! 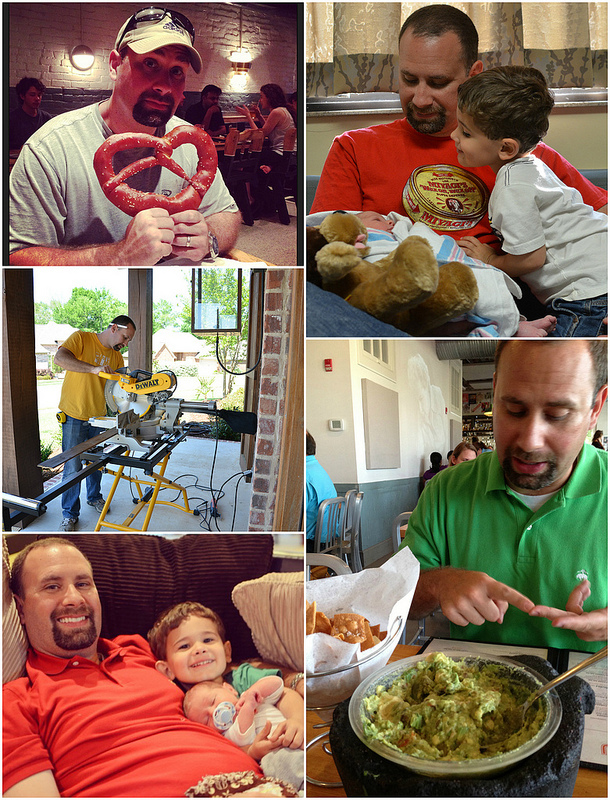 Ben is often my dishwasher, taste-tester, babysitter and videographer… but the roles he is best are Husband and Dad. He is hard-working, dedicated, focused, committed, creative and talented. 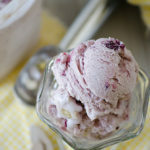 Amy from Very Culinary shared a Fabulous Video! 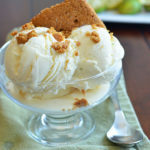 Key Lime Pie Ice Cream and a Giveaway! Previous Post: « Simon is 4 Months Old! What a wonderful post, love it so much. I almost think the men need their own conference called Food Blogher Men or something like that! That is an awesome idea Cathy! Nikki– your husband is a fabulous hand model! 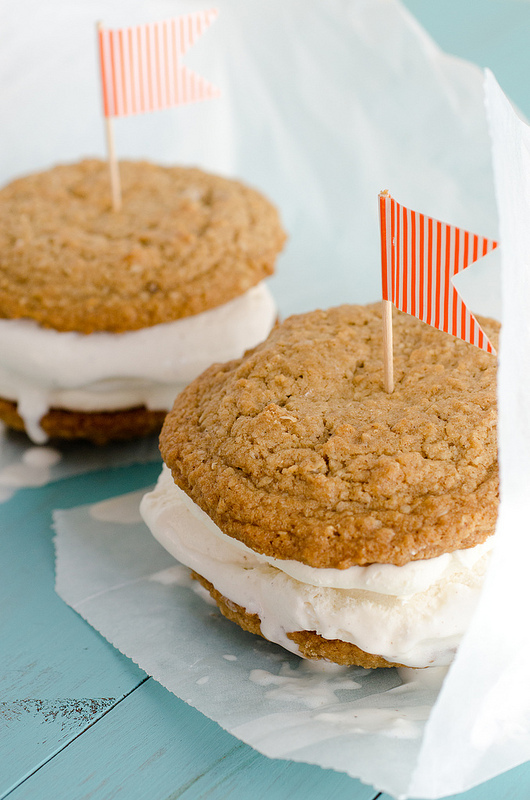 These oatmeal cream pie ice cream sandwiches are soooo great! Love the answer about the massive diffuser– ha! Your family is too cute! And these ice cream sandwiches… omg. Loved learning more about your Ben! 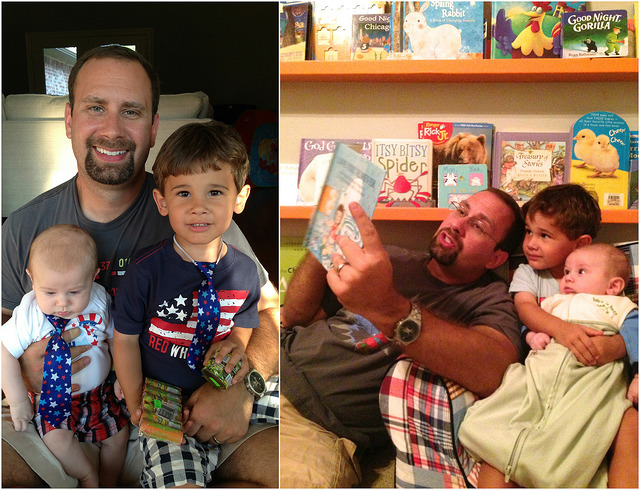 Love how he loves his kids…. Great pictures!!!! Yay for great partners! He has excellent taste, these oatmeal pies look so good! What a sweet tribute to your husband! You’re a lucky woman to have such a champ cheerleading you on. Go, Ben! Just sitting here with a big smile on my face thinking about what a wonderfully hubby you have. Love that he is your biggest fan and how he is doing everything he can to see you happy and successful! And he obviously has excellent taste in food.. this recipe is a keeper!!! Seriously, you have the cutest husband ever! Our hubs would totally get along! And could you pass me one of these sammies, pa-lease?!! I love this! What a beautiful family. And lucky family to eat those. Ice cream sandwiches are kind of a weakness of mine. I am TOTALLY showing my husband that wood whisperer site. Wood working has become one of his hobbies over the years and ever since building our kitchen he is all about building all of our furniture now! I’m sure my husband would love to pick your husband’s brain about furniture building!! And I love that yours is the hand model for this post – gotta love how supportive all our guys are!! This post is so sweet and sincere Nikki! Absolutely love it. Thanks for sharing. Your fam is beautiful! Wow what a hubby you have! So supportive you lucky girl 🙂 Now can I borrow him to build me a desk a few table tops? Thanks! Your kids are so adorable it’s unreal! How sweet! Love the picture of him with the saw, that is so my husband!! I think he secretly loves when I want him to build me something for the blog! I think your husband looks just like Jeremy Sisto! My husband would love these for some appreciation. His favorite treat is oatmeal cream pies. I just love you two! And our hubbys should totally start woodworking blogs. Then we could all be nerdy blogging friends together. Love your post, Nikki! I love how about of your blog your husband is! He is so encouraging and supportive! You two are so lucky to have found each other! Pictures are so cute. And these ice cream sandwiches are amazing! 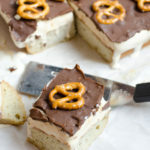 I would just LOVE one of those ice cream sandwiches, they look fabulous! Great to hear all about your hubby, he sounds wonderful and I do believe he is as blessed as you are! We just moved from Brandon, MS to Columbia, MO. Seeing the picture of your awesome hubby at Babalu made me so homesick! They have the best guacamole in the world. Precious tribute to your husband. God Bless! I love oatmeal creme pies and lately I have strangely been craving them. I haven’t had one in years but just might be making some soon! I love this sweet post. It is so nice to see wives honoring their husbands instead of the man bashing that seems so prevalent these days. I love when you talk about how blessed you are! These cream pies look so amazing! I’m drooling!! 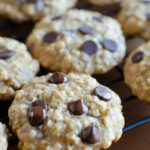 Nikki, those oatmeal creme cookies go way back to when the boys “made their own lunches” for school. That was the one cookie treat I couldn’t resist buying. The ones you made look so much more enticing. Thank you for honoring your husband and my son with this article. 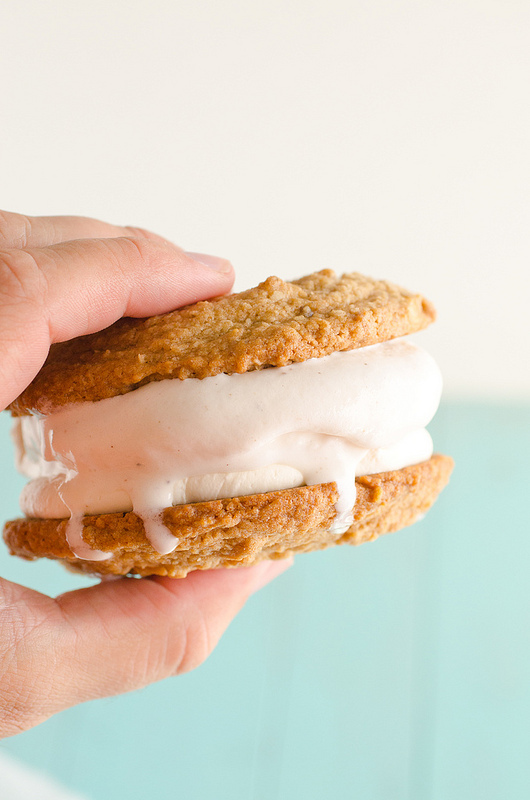 These oatmeal creme pie ice cream sandwiches are yummy and interesting! Definitely it is something new for me and i’ll cook it for my kids! Thanks for sharing! These oatmeal creme pie ice cream sandwiches so extravagant:) I’m afraid I will not find the ingredients for this recipe!